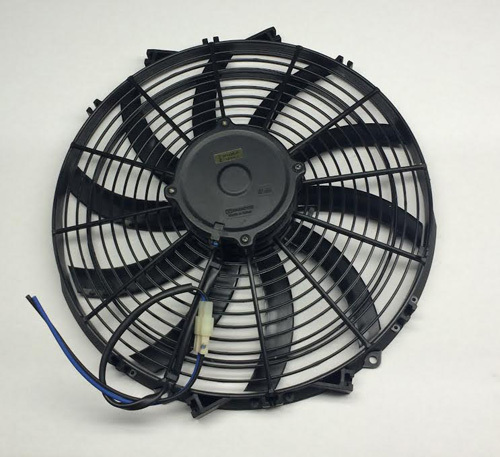 These 12 volt fans are the answer to your cooling needs!! There are various sizes available to perfectly fit any vehicle you need to cool!! Sizes include 10", 11", 12", 14", 16" and 17" in diameter. 40-AMP Mechanical Adjustable Thermostats and 2-speed Adjustable Thermostats Available!! 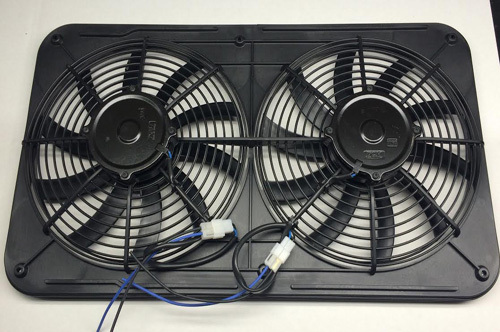 For the heaviest of cooling needs, we offer dual models also!! Only 2 5/8 inches thick!